Please ensure that you have renewed your membership of CMBHA and that you have a current membership card showing an expiry date in 2020 if you intend using a CMBHA discount over the Easter weekend. See our current list of discounters. The Easter Newsletter was sent out on the evening of Thursday 18th April, It can be viewed here. Yachtshop Chandlery has opened in Conwy Marina. Our 2019 Start of Season Supper was on Saturday 13th April at The Mulberry, Conwy Marina. 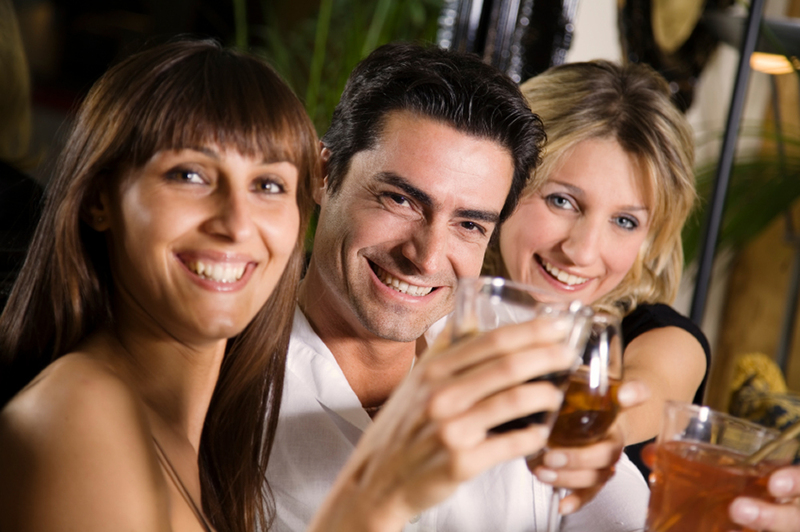 It was a great evening, providing an opportunity to meet fellow berth holders, enjoy good food and company. There was a DJ to provide background music during the meal and there was an opportunity to party later in the evening. The CMBHA 2019 AGM (Annual General Meeting) was at 10am on Saturday 13th April upstairs at The Mulberry. Refreshments - tea/coffee and bacon butties/croissants were available from 9:30am. The bacon butties were the most popular. The AGM usually lasted about 45 minutes and then we had an informal discussion. The documents for the AGM are stored on this AGM 2019 page. The draft minutes (to be approved next year) will also appear on that page and some rough notes taken during the forum. 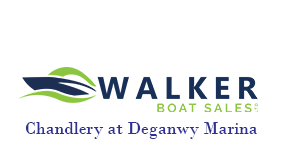 The Walkers Boat Sales chandlery in Deganwy Marina offers a 5% discount to CMBHA members on production of a valid membership card. Living Dangerously - a talk by Sir Ranulph Fiennes on 4th February at Venue Cymru in LLandudno was very popular. The theatre was full and the evening informative and entertaining. The CMBHA Extended Winter Lift-out package This allowed our members to have 16 to 20 weeks storage ashore instead of the contracted 8 weeks. New 40% Discount on Charting Software from Belfield Software - see the advert on the right of the screen. You'll need to log in to see the details and get the 'CMBHA members only' discount code. The main web camera is back in action - now and again. Please check the date on the image. If you think it's showing an image a few days old try refreshing the cache on your device. Some devices store a local copy of web pages to make you think that they are working faster. You can refresh a page on a PC by pressing Control F5. On a Mac, you assume a yoga position (or press Apple + R). On an iPhone, open a fresh, 'private' Safari page - must be 'private' so the device 'forgets' that you've been there before. You might also like to use the web camera at the west shore beach café to view sea conditions in the bay and towards the Great Orme. Some great new discounts for members. New discounts are available from Go Earth, 2 The Square and Watson's Bistro. Click on the links on the right for more details. These discounts are only available to CMBHA members - so join now if you are not yet a member. The 2018 CMBHA Midseason Scrub for power and sail boats (not people) was popular during August, with over 18 members using the scheme. News about the 2019 package will be available soon. The Quay Marinas Spring Fuel Offer ended on Monday 30th April 2018 and was available for both petrol and diesel. News about any 2019 offering will be posted later. Don't forget to renew your membership. You'll need a current membership card to take advantage of discounts and special offers. Also, please be aware that if you renew your membership online, it could take a few days for your new plastic membership card to arrive in the post. However, you will be able to use your new digital membership card straight away if you have a smart phone. CMBHA members get a 10% Discount on Food at The Mulberry A valid, current membership card MUST be produced, no matter how often you've been there or how well you now the managers or the staff. The discount applies to food only and not drinks of any kind. CPR Training. If someone has a heart attack on your boat, each minute without CPR reduces their chance of survival by 10%. How long will it take a lifeboat to get to you? Please let us know if you would CPR training. We try to protect your information from hackers, so you'll be locked out of the system for 30 minutes if you enter the wrong information 3 times. However, you can get a new password by clicking on the 'forgotten password' link: but you must use the same email address as the one you gave to CMBHA. And don't forget to look in your 'spam' or 'junk mail' folder. In 2016, a UK circumnavigation was completed in Liquid Asset, by Jane and Eric Crowther. Read Jane's account here. Old CMBHA membership expires on 31st March. Anyone joining or renewing during a preceding December will receive membership until 31st March 2020. You can join or renew using this web site, or at The Mulberry Grocery Shop in Conwy Marina. Tell us what you want from your CMBHA membership. click on the Renew button, so you'll be taken to the payment page. Here, you'll have the choice of making a once only payment by credit/debit card or PayPal, or setting up a recurring payment through Direct Debit. Or pay by cash or cheque at The Mulberry Shop in Conwy Marina. Or are you new to CMBHA? Join online using this web site. Or join in The Mulberry Shop in Conwy Marina. Don't forget to join our Facebook group called Conwy Mariners and share any boating photographs and any stories about any trips you've made, or any work you've done on your boat. If there is anything else that you would like to see on the site, please just use our feedback form on the Contact and Feedback page. If you are not yet a member of the Association, you are very welcome to join us. Please just go to Join Us for details.